Republican candidates filed to run for election and Villivalam will run unopposed. 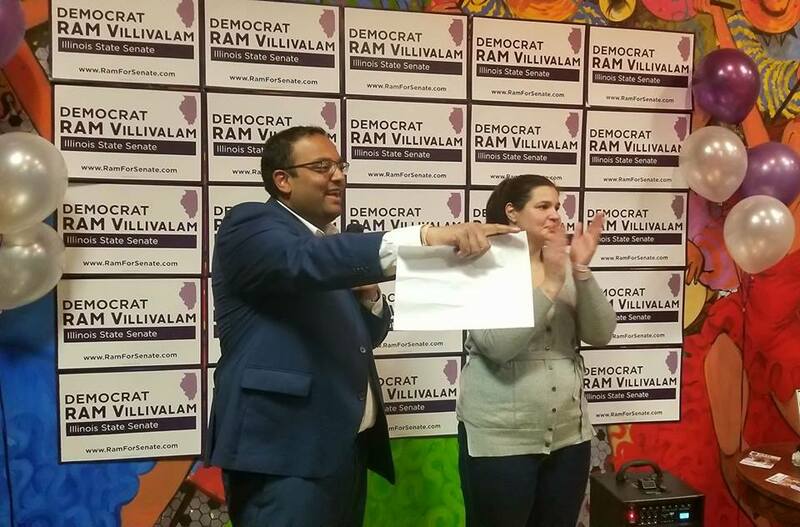 Former congressional aide Ram Villivalam won the Democratic primary for Illinois State Senate District 8, thereby running unopposed in the general election to be held on November 6, 2018. Villivalam, who challenged 20-year incumbent Ira Silverstein, won the primary getting 13,350 votes that account to a total of 51.86 percent. Incumbent Ira Silverstein could only secure 29.05 percent, giving a clear majority to Villivalam. Other Democrats who ran for the election were Caroline McAteer-Fournier and David Zulkeywas, who could only secure 13.81 percent and 5.28 percent votes, respectively. Interestingly, no Republican candidates filed to run for election and Villivalam will run unopposed. The last date for a candidate to file papers was on December 4, 2017. Speaking to his supporters at the 90 Miles Cuban Cafe in Lincolnwood, the first-time candidate Ram Villivalam, declared victory over incumbent Ira Silverstein in the 8th District State Senate race. The 8th Senate district has the highest concentration of Asian Americans in Illinois. It includes 21 Chicago neighborhoods, among them, all of Devon Ave.’s business district, popularly called “Little India” — and the suburbs of Lincolnwood, Skokie, Morton Grove, Niles, Des Plaines and Glenview. “This campaign was never about me. It has always been about working together to empower and raise the voices of the voters of the 8th State Senate District, one conversation at a time. Today, those voters spoke clearly: they’re ready for a new generation of effective progressive leadership. Thank you to my wife, Elizabeth, my family, my staff, and the hundreds of volunteers who have been a part of this campaign.” Villivalam added. Villivalam’s parents immigrated from India in the 1970s. He was born and raised on the Northwest side of Chicago, where he continues to live. The area is part of the 8th district. “As the son of Indian immigrants who came to this country to seek out a better quality of life and opportunities for their children, I feel the responsibility to step forward and speak out on the important issues that working and middle-class families are experiencing every day,” Villivalam told the Bazaar earlier. Villivalam’s experience includes working as a legislative coordinator for the Service Employees International Union (SEIU), where he fought to protect home care for seniors and people with disabilities, child care for working families, and Medicaid for those in need. Prior to that, Villivalam was the Outreach Director for Rep. Brad Schneider, D-IL, where he signed people up for the Affordable Care Act and put on job fairs. “I’m ready to head down to Springfield to take on the issues that I’ve heard about again and again as I knock doors: reducing gun violence, ensuring equitable education funding, and lowering taxes for middle class families. Now, let’s get to work!,” he added as he concluded his speech at the 90 Miles Cuban Café.